Students can now follow their VandyVans route and van in real time at the new shelter located at the Hank Ingram stop near The Martha Rivers Ingram Commons. 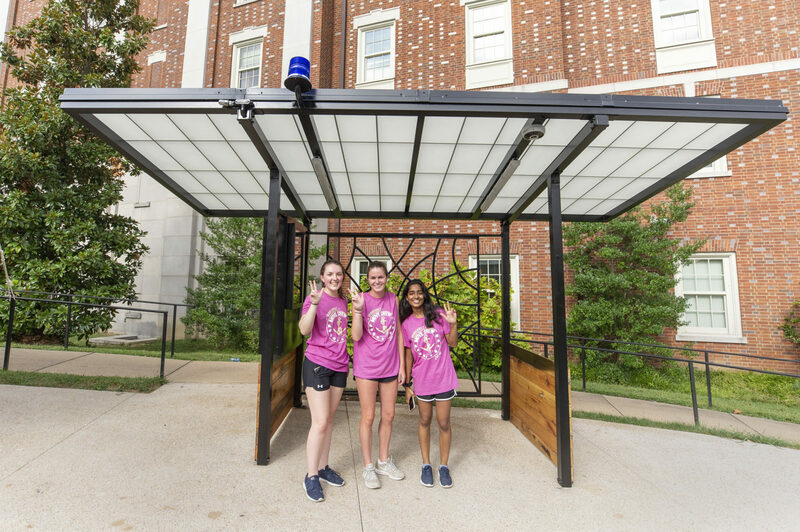 Designed by undergraduates in the School of Engineering* and partially funded through the Vanderbilt Green Fund, which provides seed funding for student ideas that improve the university’s sustainability goals, the shelter is the first fully recyclable, green and technology-driven shelter on campus. The shelter syncs with the app, VandyVans DoubleMap, and as students wait for their van, they can watch the vans in use in real time through the app or on the shelter’s technology display. The app can be downloaded through Apple or Google Play. 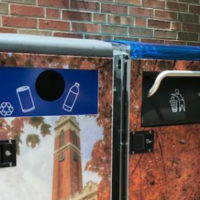 In addition to the convenience of the app, the ADA-compliant shelter also offers WiFi, a blue light phone for direct access to Vanderbilt University Police Service dispatch, and BigBelly solar-powered trash compactor and recycling bins. The shelters and stops will also uniquely identify with the school and part of campus they are located near. For more information, visit the VandyVans website.